Dan Rather’s latest book, Rather Outspoken, reminds us that reporters had best be careful when they set about the business of digging up news. And they’d damn well better make sure the media corporations for which they work are ready and willing to stand by them. Of course, Rather’s unsettling “push under the bus,” as he describes it, is a telling case of slaughter-house political savagery. It’s hard to believe CBS was once the network of the “Murrow Boys” who exposed the fear-mongering of Joe McCarthy and Roy Cohn — the same network who sent a young Rather into the middle of firefights in Vietnam, and managed to make 60 Minutes the most successful news program in history. 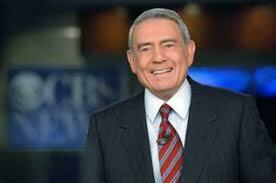 And I don’t mean Dan Rather. He has proven that he is and will always be a reporter, no matter the venue. Keep in mind, I am not saying he has always been right; however, in my humble opinion; he has always been earnest, tireless and willing to put his life on the line if it meant delivering news and much-needed context to the American people. While newsrooms have drastically (and dangerously) cut staff during this era of mega-media conglomerates, the mighty managers have fallen upwards. Upwards of $70 million is what CBS president Les Moonves made in 2011. That would be okay by me if most of that money was put back into the newsrooms, but it’s not. And Moonves is not likely sitting up at night worried about what the people of American are not being told. Without saying it flat-out, or even having to, Rather Outspoken reminds us that there are precious few reporters still working to fight the powerful and privileged who profit from harming our democracy, our planet, our food supply, our water, our air, our institutions of learning. And Moonves’ stunning salary reminds us exactly what is valued by the few powerful corporations currently controlling the news. Those blessed few reporters left standing are not naïve. They can’t afford to be. We all know that the louder the warning to the American people, the stronger the “push back.” Today, corporate media minders harbor an unimaginable ambition for wealth and power while maintaining meager ambitions when it comes to informing American citizens. Mostly, they want to protect and keep those corporate commercial dollars flowing. Journalism, as it functions today, certainly is not designed to keep America honest or democracy working as Thomas Jefferson intended. In Rather Outspoken, we get a not-so-shining example of how this era of corporatized news works to the detriment of democracy. That statement reads like a warning to any and all of CBS’ reporters who might be digging into anything critical of George W. Bush or his administration. And, at the time, that was exactly what Mr. Rather and his ace producer Mary Mapes were doing. They had a story that reflected badly on George W. One that, if accepted by the American people, most certainly would have scuttled George W Bush’s disastrous second term. In retrospect, the mind boggles to think what might have been different had Viacom/CBS backed Rather and Mapes instead of backing away from them. The chronicle of Rather’s take-down reeks of Cassius cunning — so Shakespearean is the plot. Rather and Mapes went running into a house on fire, only to turn around and find those carrying the fire hoses had deserted them. From Rather’s account, it is clear his beloved CBS network had, by the time they’d left him twisting in the wind, devolved into nothing more than a money-grubbing entertainment machine seeking favored status with the powerful. A recent Texas Monthly story backs him up. Rather Outspoken is a cautionary tale on many levels. And it’s a story that finally explains why Rather and Mapes fought so hard to run their story. And, why in the end, the story ultimately fell flat after a strangely convenient information snafu. To fully grasp the implications of this sordid tale, you have to put yourself into the “Black Op” line of thinking: if Cassius cannot discredit the story, then he must discredit the storyteller. Think Valerie Plame and Joe Wilson. Luckily for the “Black Operator,” documents are malleable and always open to question and to opinion. Fame-seeking and often mediocre but ambitious “experts” are readily available to discredit them, too. Think Mr. Obama and the interminable birth certificate debate. If the Black Op works — the story gets thrown away along with the reporter brave enough to tell it. Oh, how convenient it must have been to have a former CIA chief watching over his presidential son. The CIA building in Langley is not named after Poppy Bush for nothing. Like any reporter worth his or her salt, Rather has stepped on a lot of toes over the years. The list of people who wanted to see him blackballed and blacklisted stretched all the way from Pennsylvania Ave. to Langley, Va. And there were plenty of well-heeled spin doctors and PR people ready and willing to aid and abet the process. As Rather points out, and as many reporters know, there are now huge public relations firms regularly hiring Rovian characters who make their coin leaking false stories. By the time the spin doctors get finished, the real story is as twisted as a pretzel, completely unrecognizable and, more times than not, the wagging finger gets pointed right back at the reporters. The messenger becomes the story, not the message. Oh, how Cassius smiles. When Rather and Mapes were ready to wrap up and air their story of George W. going AWOL from the Texas Air National Guard — George W. was two months away from the 2004 election. It all follows the same CIA Black Op pattern. Instead of ignoring the lack of George W.’s service in Vietnam, make the opponent appear to be what your candidate really is. Remember the Swift Boat controversy — it implied Kerry, a decorated Vietnam veteran, was a coward. Finally, the story aired. It got some traction. And then, as if according to a playbook, the documents were attacked. The same technique used on Mr. Obama (the birth certificate was forged!?). After reading Rather’s book, it’s clear the proof of Bush W.’s AWOL was well established. Rather and Mapes didn’t even need the documents. This is how our politicized and corporate media works today. It has become so common to shoot the messenger, other reporters just fall in line and keep quiet. If Dan Rather can get set up — who are we to think we won’t be targeted too? Better to play it safe and avoid investigative reporting. Trouble is, as Thomas Jefferson pointed out, “ignorant citizens” cannot support a democracy. It should also be pointed out that while living in the bubble of big media, it’s hard to see and understand how all this plays out. Now, that Rather is “outside” the mainstream, it has certainly made him wiser and more contemplative about what goes on “inside.” He is now an elder statesman with much to teach. He’s seen all sides of the corporate-political news game and lived through its development. He knows how we got here. We need to listen to him about how best to get out. Gallery | This entry was posted in On the Media and tagged CBS, Cheney and Rove politics, dan rather, George Bush, political set ups., Viacom. Bookmark the permalink.